Save the Date: Saturday, April 27, 2019 following the 5:00 p.m. mass. Singers Wanted! 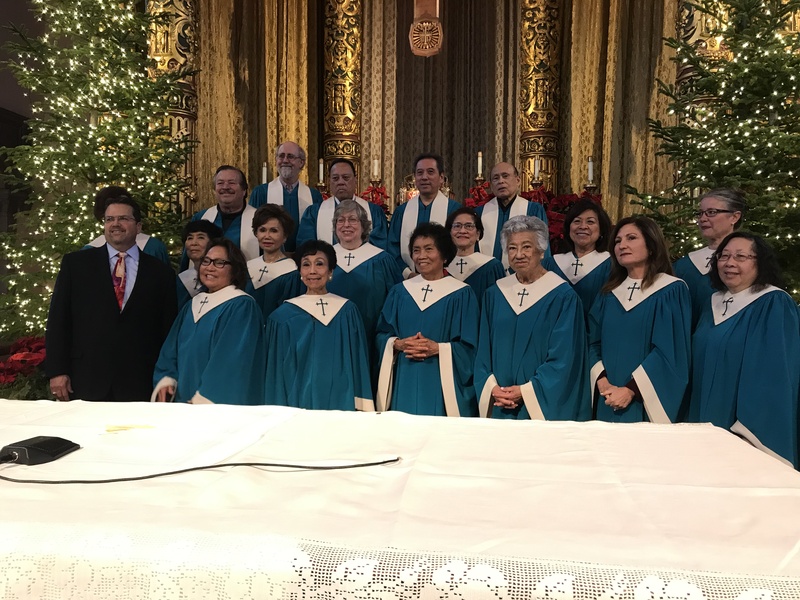 Join St. Cecilia's Adult Choir! Our Choir rehearses each Thursday evening at 7:30 PM in the Green Room. We provide the Music Ministry for the 11:30 AM Sunday Mass. Once a month, we sing for the 5:00 PM Saturday evening vigil Mass. It is not necessary to have a trained voice to sing in our choir. Vocal instruction is provided by our music director. The ability to read music is helpful but not required. Please consider participating in this most worthwhile ministry; praising God through song! For more information, please contact Mr. Russ Ferreira at (650) 588-7493. 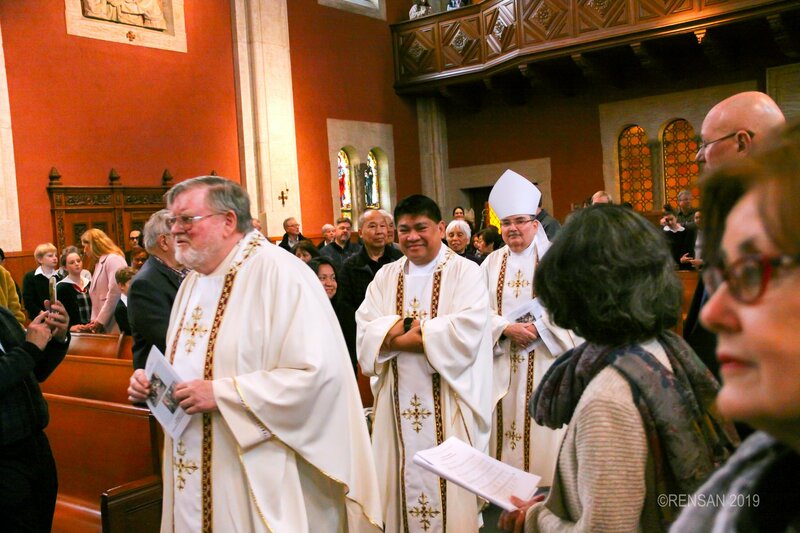 Ash Wednesday marked the beginning of the liturgical season of Lent. But, what is Lent? It is the commemoration of the sacrifice of Jesus Christ, who withdrew into the Judean desert and fasted for forty days in preparation for His ministry. It is a time for prayer and penance. In all of his addresses for Lent, Pope Francis has focused on the need for conversion through the three pillars of prayer, almsgiving, and fasting. He stresses these three actions will help create a pure heart through cleansing one of selfishness and the yoke of the sin. In Matthew’s Gospel, Jesus tells us to “take care not perform righteous deeds in order that people may see them.” He calls us to pray, to fast, and to give alms to please the Father, not to win the praise of others. Lenten observances should not draw attention to the person. Sacrifice to show compassion and enrich others. After all, the purpose of penance is not to diminish life but to enhance it. How can we enrich our spiritual lives by intensifying our devotion to the three pillars of Lent? We can set aside more time for prayer - individually and as a family. We can pray the Station of the Cross. We can pray for the Pope and all who lives a consecrated life. We can fast to benefit others. For example, instead of spending time watching TV, spend time doing something with others - talk to your parents play with a little brother or sister who looks up to you; skip a meal and give what you save to charity; be extra kind to someone you do not like. Sacrifices should come from love, not a sense of guilt or obligation. In gratitude for all God has given us, and as an act of love to those in need, we can give generously to the poor and disadvantaged. We can smile at everyone and anyone all the time. We can volunteer at a soup kitchen. We can make blessing bags for the homeless. 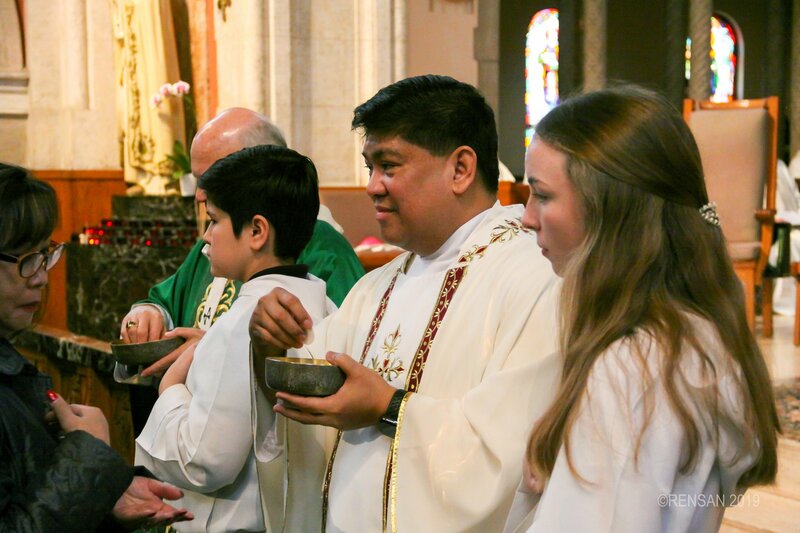 As we go on our Lenten journey, let our prayer be, “A clean heart create for me, Our God, and a steadfast spirit renew within me.” So, at the end, we may be ready to start again to live the baptismal life - life as children of God - in its fullness. So, we may love God with our whole heart, mind, and soul. So, we may unhesitatingly share His love with others. 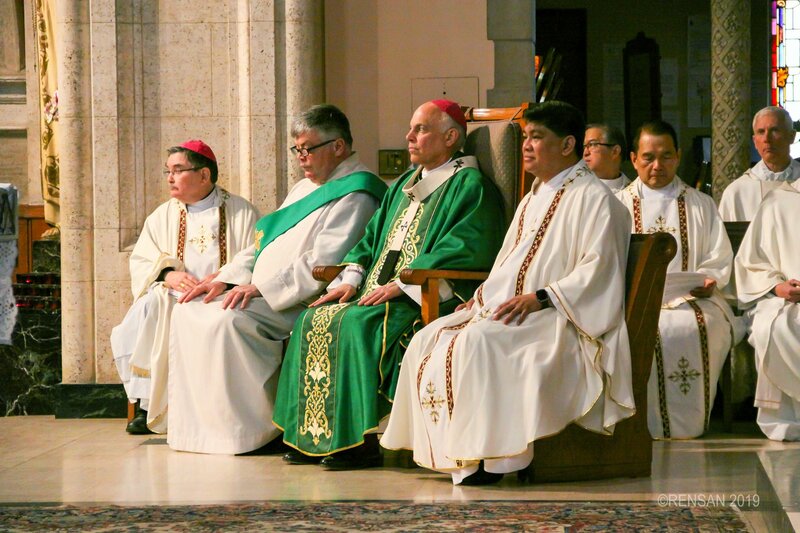 Visit the Archdiocese of San Francisco website for messages from Archbishop Salvatore Cordelione, information on the various Achdiocesan Ministries, access Catholic San Francisco Newspaper and more. Enjoy a free subscription to Formed - an incredible gateway to the Best Catholic content, all in one place! View movies and learn more about our Faith. Parish access code is RZDPQZ along with the parishioner's email. and 1:00 p.m. to 6:00 p.m.
Saturdays: 9:00 a.m. to 8:00 p.m.
with one of the priest. Saturdays 4:00 p.m. to 5:00 p.m.
Every morning at 8:30 a.m.